When it comes to corporate elearning, we all hope “if we build it, they will come.” And while initial excitement may result in high usage, building long-term interest in your elearning initiative requires regular communication regarding the program’s benefits and content. The next several posts of the “Marketing Your eLearning Initiative” series will focus on specific tactics you can use in your company to continue to advertise your program after it has launched—beginning with email. Not quite at this step? Check out our previous posts on matching your elearning program goals to company objectives, finding your champions and the importance of branding your initiative. Many employees are motivated to participate in an elearning initiative in order to meet professional goals. Share real-world examples of employees who have used your company’s elearning courses to move up a role, learn a new skill or receive a certification. For example, if your sales team recently took a series of sales training courses and then saw a higher close rate the next month, highlight that win in your company newsletter or communications. Highlighting individual courses is great for the end user, but it is important for management to see value in the training program as a whole. Pass along articles from training publications on the benefits and effectiveness of elearning. This could be in the form of a weekly email sent just to managers, with a tip on how to discuss articles with their employees. Employees may not be aware of all the courses you have to offer. Sending out a weekly or monthly highlight of courses not only keeps elearning top of mind, but introduces courses employees may not have otherwise found. OpenSesame sends out a Course of the Week newsletter each week tied to a current event or theme. For example, the Course of the Week email below was sent shortly after the Heartbleed Bug and Internet Explorer concerns. As web security was top-of-mind for many of our customers, we highlighted of courses that would help them address those concerns. These are just a few simple tips for using email to get the word out about your elearning program. 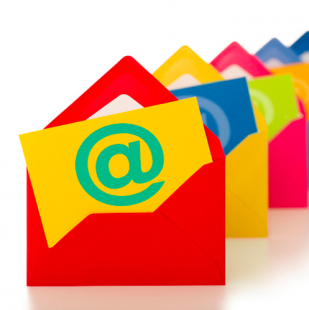 We’d love to hear what creative ideas you’ve come up with at your company to market your elearning programs via email! Please share your stories in the comments.